D.R. 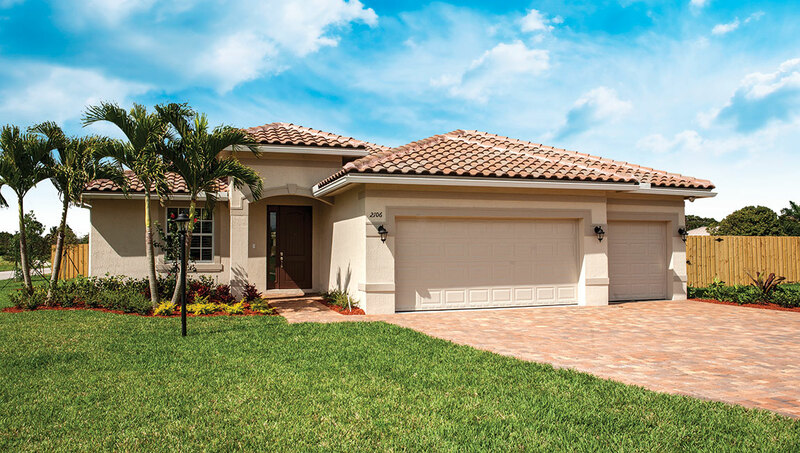 Horton’s Southeast Florida Division is pleased to announce a limited number of quick move-in homes are available in Redland Reef. A beautiful model is also available for viewing in this Homestead community, which offers over sized homesites and private fenced-in back yards. The one- and two-story homes in Redland Reef range from approximately 1,970 to 3,910 square feet of living space, with four to five bedrooms and two to four-and-a-half baths. Every home has a three-car garage. The public is invited to tour the professionally decorated Magnolia model. At the heart of this home is a spacious great room, which adjoins the open-concept kitchen, breakfast nook, dining room, living room, and a large covered patio. In addition to the master suite, a second bedroom features an en suite bath and walk-in closet. The third and fourth bedrooms share an adjoining bath and feature private entry doors. The Magnolia offers two distinctive elevations to choose from, as well as upscale options, such as French doors. Homes in Redland Reef are set on fully sodded third- to half-acre lots with professionally designed landscaping and include wood shadow box fencing around the backyard. Other highlights include granite countertops and 36-inch wood cabinets, brick paved driveways and walkways, automatic irrigation, decorative exterior coach lights and an alarm system. These luxurious new homes start in the low-$300s. Redland Reef’s proximity to Florida’s Turnpike and Route 1 grants residents easy access to work and play, with golf, shopping, restaurants, and the recreational opportunities of Florida’s scenic seashore and beaches nearby. For more information, including sales center and model hours, visit www.drhorton.com/sfl or call New Homes Sales Consultant Andrea Cardenas at (855) 647-4247. D.R. Horton, “America’s Builder,” has been building families beautiful homes in desirable locations for more than 35 years. Ranked America’s largest homebuilder for twelve years in a row by volume, D.R. Horton has built more than 475,000 homes with quality, functionality, value, and style in mind. For more information about D.R. Horton’s Southeast Florida division, please call toll free (855) 647-4247 or visitwww.drhorton.com/sfl. Home and community information including pricing, included features, terms, availability and amenities are subject to change and prior sale at any time without notice or obligation. Pictures, photographs, features, colors and sizes are approximate for illustration purposes only and will vary from the homes as built. D.R. Horton is an equal housing opportunity builder. Square footage dimensions are approximate.